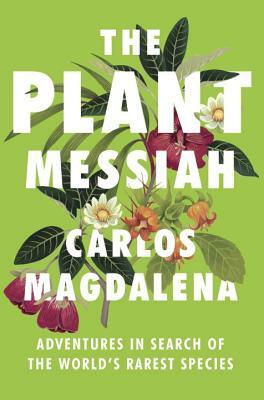 Carlos Magdalena is not your average horticulturist. He's a man on a mission to save the world's most endangered plants. First captivated by the flora of his native Spain, he has travelled to the remotest parts of the globe in search of exotic species. Renowned for his pioneering work, he has committed his life to protecting plants from man-made ecological destruction and thieves hunting for wealthy collectors. "A gripping account . . . The work done by Magdalena and others like him is nothing short of miraculous. [The Plant Messiah] illustrates just how much can be done to save even species that all but the greatest optimist would consider doomed." "For anyone who might have considered plants dull stuff, Mr. Magdalena delivers a thrilling and inspirational account of adventures in the botanical world." "Bound to enthrall readers and get them thinking more fully about plants."